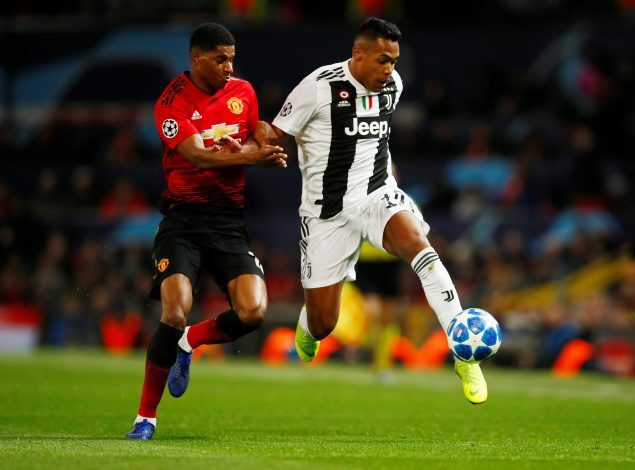 Juventus left-back Alex Sandro is once again in the news as far transfer speculation is concerned. The Brazilian has gone on to reveal that he is looking forward to play in the Premier League. Manchester United have been linked with a move for the player since quite some time, as they want someone to fight for a place with Luke Shaw. Moreover, their arch-rivals Manchester City are also said to be monitoring the situation. The 27-year-old was on the bench for the Brazilian national team as they went on to beat Uruguay 1-0. In a recent interview, the full-back admitted that he is happy in Turin and with the current life at Juventus, but he also expressed his desire to play in the Premier League someday. “I think, one day, who knows what will happen?. I have a desire to play in the Premier League but right now I am very happy where I am at, the club I am at [Juventus], the league I am playing in,” said Sandro (via Manchester Evening News). The talented left-back could be a crucial addition for any side, and both United and City would be hesitant to pass on the chance to secure his services. With Ashley Young’s days numbered given his age, United will be wise to get in Sandro and have the desired depth. For City, their interest in Sandro stems from Benjamin Mendy’s injury problems. They do not have the desired cover for the Frenchman, and manager Pep Guardiola remains an admirer of Sandro as well.